Just tired and drained. I have visions of grandeur as I drive home from work of repainting my back room or organizing my library or, hell, doing laundry. But I can barely get the gumption to fix dinner sometimes. On days when I am tired or pressed for time, I usually cook fish. I always keep some good fish like wild caught salmon or tilapia in the freezer. Frozen fish thaws out quickly and can be grilled or broiled in a flash. My typical grill method is to throw the filets and some fresh veggies drizzled with olive oil, salt, pepper, and lemon juice into aluminum foil packets. 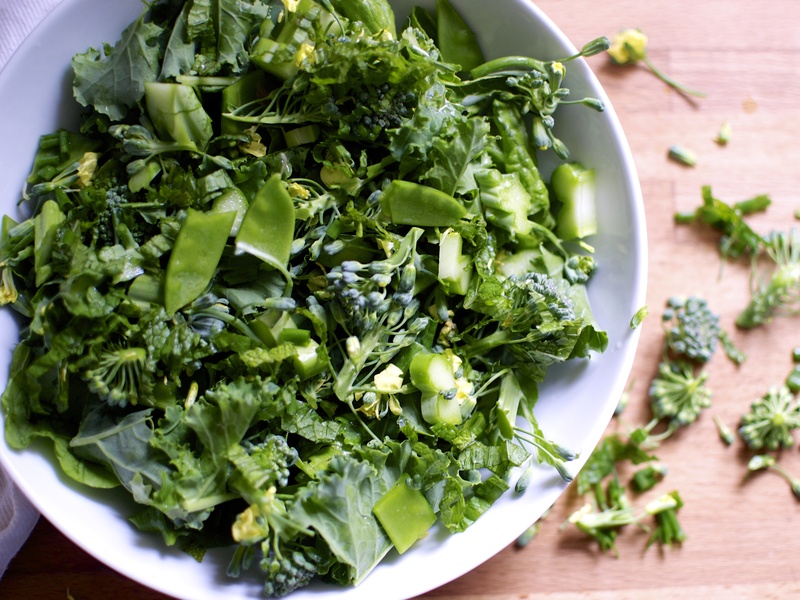 Sprinkle with fresh herbs, such as dill or basil or tarragon, or top with dijon mustard and lemon juice. Seal your packets and then grill for about 10 minutes or until the fish flakes when you put a fork in it. 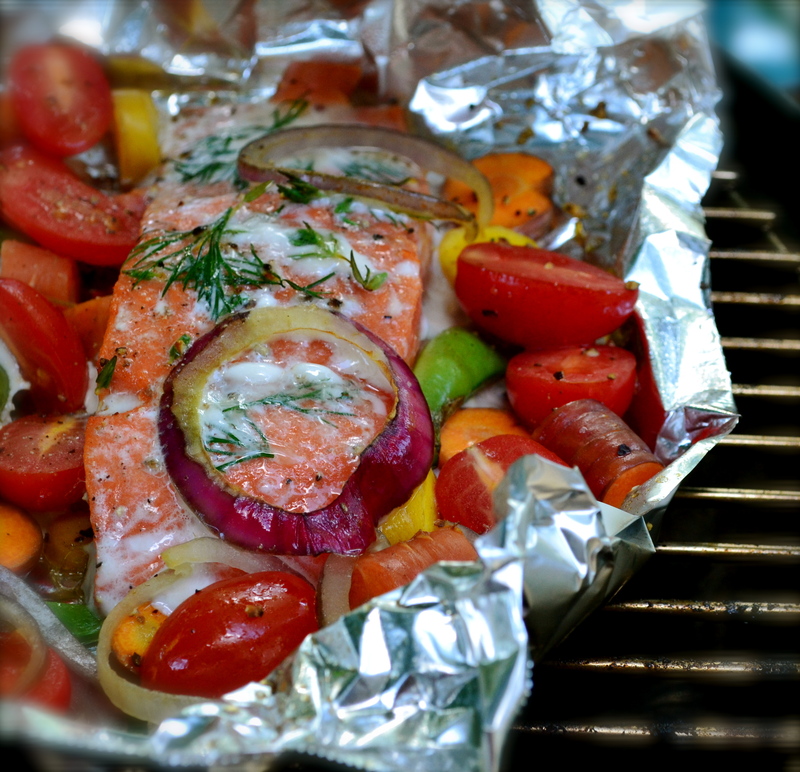 Grilling everything in handy dandy foil packets is like unwrapping a gift that your grill has made for you. Thank you! Some people call these “hobo” packets. I don’t know too many hobos and therefore, I do not know whether this is their preferred cooking method. When picking salmon, I recommend buying skin-on wild-caught Alaskan sock-eye salmon. It’s bright coraly pink in color, not light pink like farm-raised. Salmon is rich in selenium and omega-3s! So eat up! 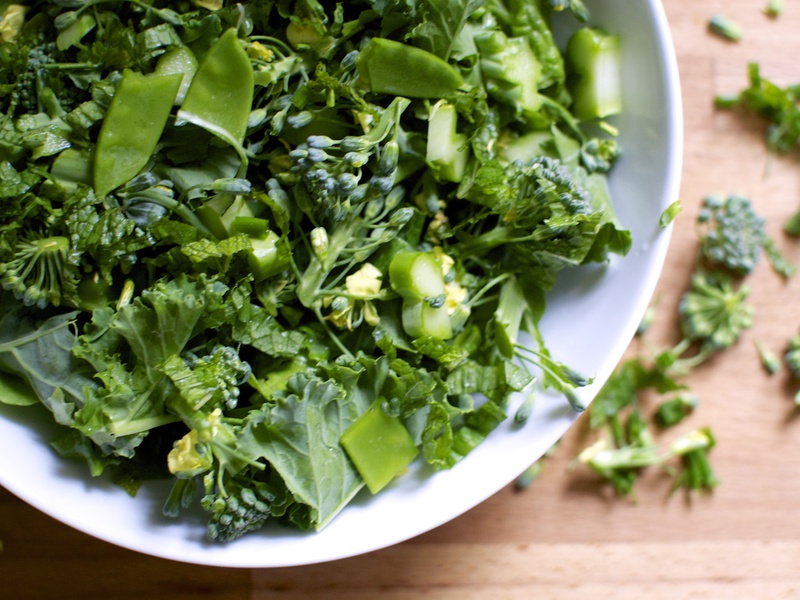 In a bowl, combine your vegetables. 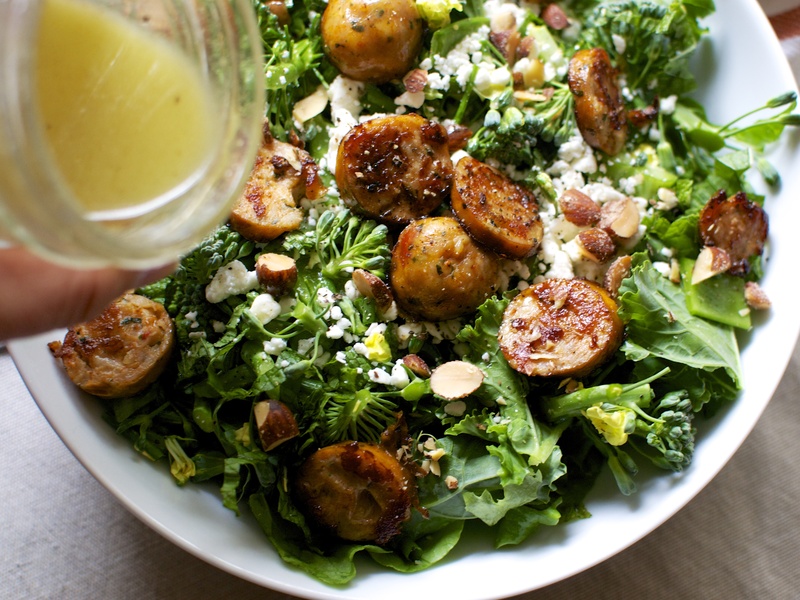 Drizzle with 1 tablespoon of olive oil. 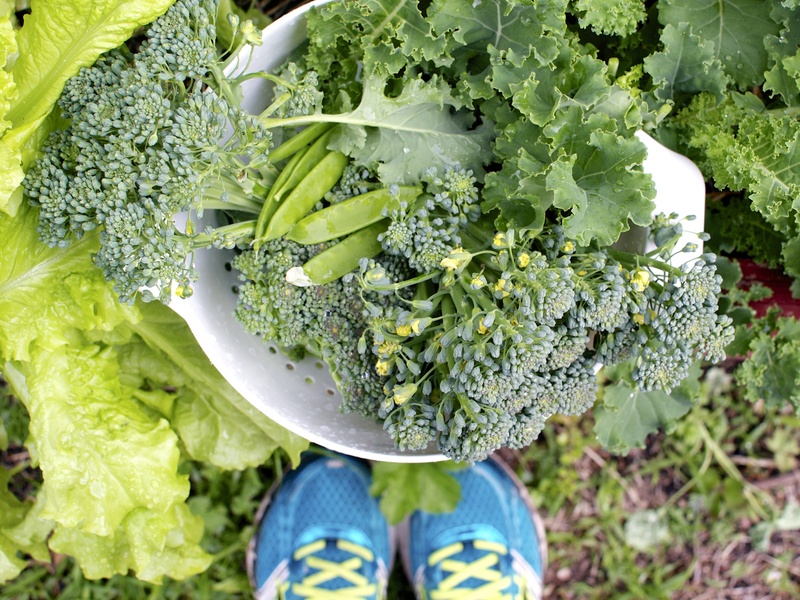 Season with salt, pepper, and fresh herbs. Spread 1/2 tablespoon of dijon mustard on each filet. Sprinkle with fresh herbs and salt and pepper. Lay out 2 aluminum foil sheets at 1 foot each. 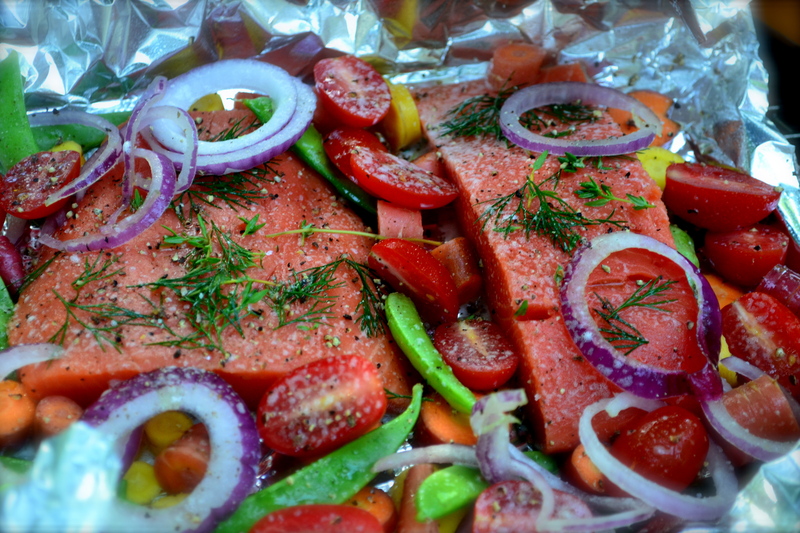 Place one salmon filet on each foil sheet. Divide veggies among each foil packet. Place another foil sheet on top of each packet and seal around the edges. 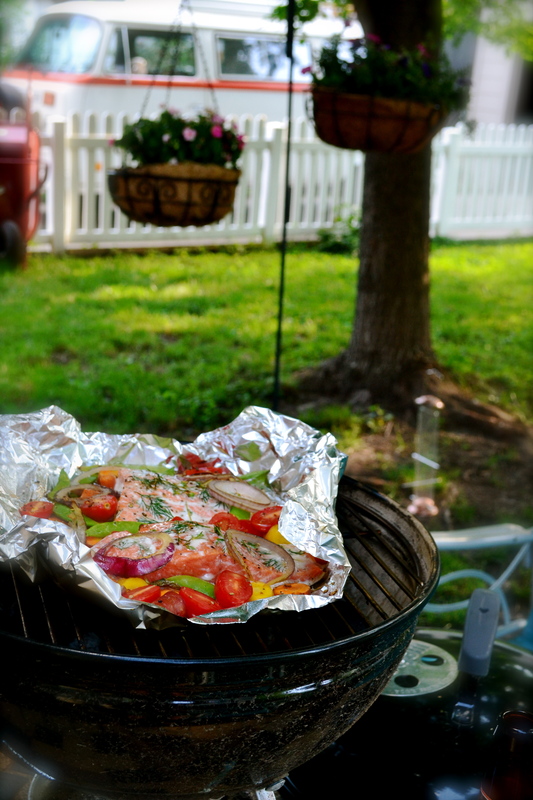 Place foil bundles on preheated grill. Grill for about 10 minutes. Filet will flake when fork is inserted into fish and pulled back. 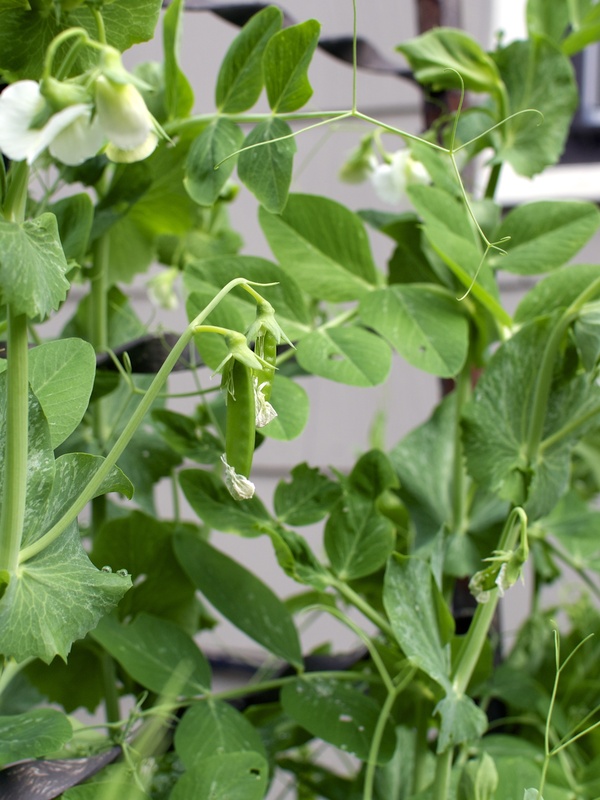 Vegetables should be tender. Remove from heat and chow down! The weather can’t quite decide what it wants to do….warm, cold, warm….snow. And sometimes, this change occurs all in one day. Sometimes I feel just as spastic as the weather. Unable to decide what to do, what to wear, what to cook….what type of apples to buy. Too many choices just clogs my brain up. Going into the bulk bin isle of Whole Foods is overwhelming to me. So many different types of beans, flours, sugars, grains, nuts, and snacks. Sometimes it is best to keep things simple. So, in an attempt for simplicity, I present these salmon patties. Simple. Fresh. Quick. Healthy. Using canned wild salmon makes these uber easy. If you don’t have oat bran on hand, you can whirl some oatmeal in a food processor or use bread crumbs. 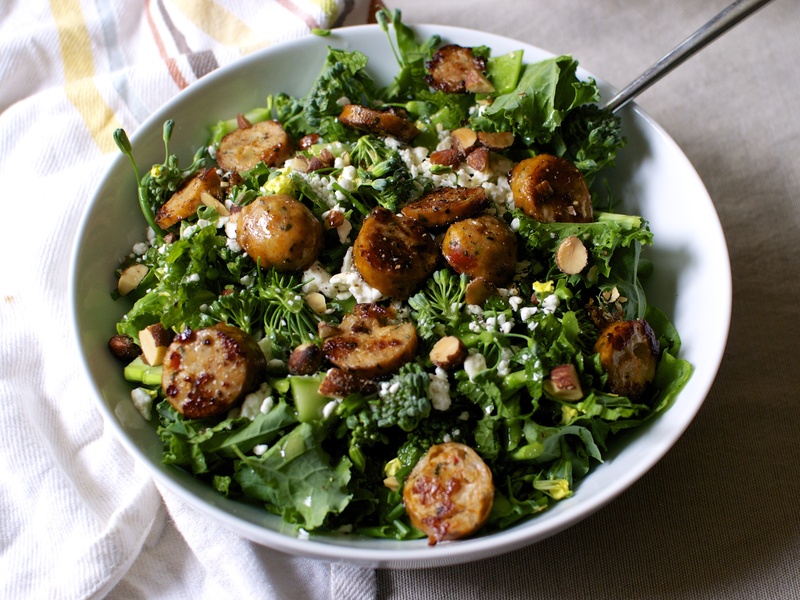 Mix all the ingredients in a medium bowl, form into small palm-sized patties, and sauté in a grill pan for about 3 to 4 minutes on each side. Done! I also whipped up a greek yogurt sauce with cilantro and lime to serve on the side. 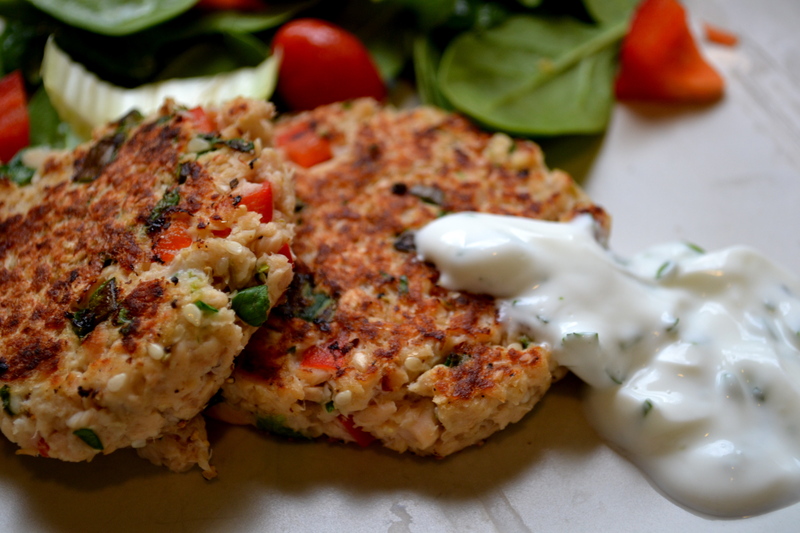 But these salmon patties are so flavorful and fresh tasting that you really don’t need the sauce. 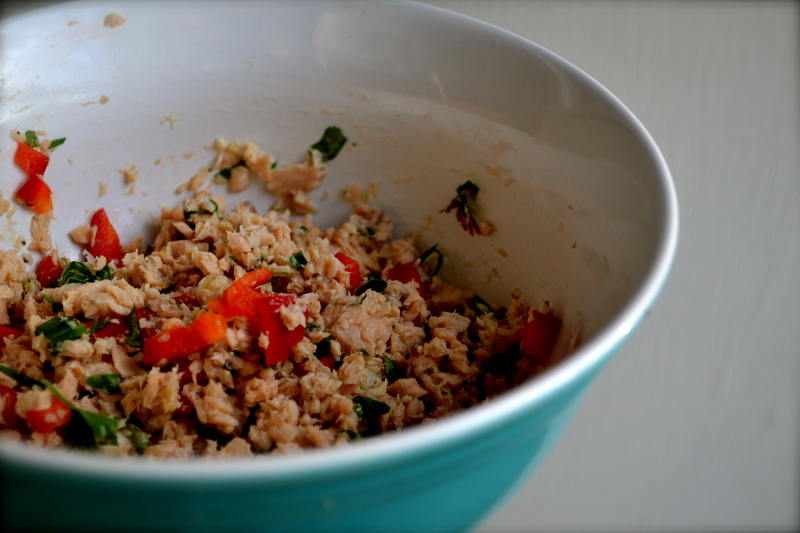 In medium bowl, combine all salmon patty ingredients (salmon through pepper). Stir. If mixture is too wet, then add additional oat bran. Form into small patties, about 2 inches in diameter and 1/2 inch thick. This should make about 4 to 6 small patties. 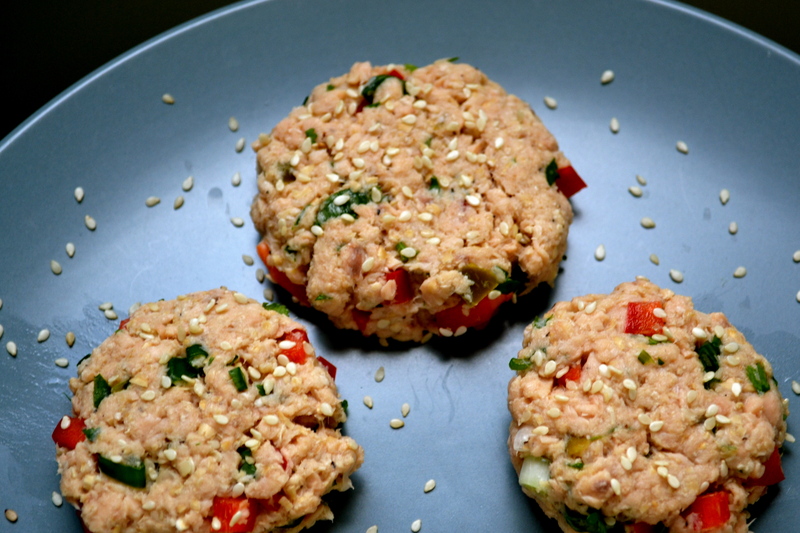 Sprinkle patties with sesame seeds. Smaller patties cook faster and stay together better. Plus they are just cute. Place patties on a plate. You can allow the patties to chill for an hour, if you have time. It isn’t necessary. Preheat griddle pan or skillet over medium heat. Spray with nonstick spray. Cook patties until golden brown on each side, about 3 to 4 minutes on each side. Combine all of the sauce ingredients (yogurt through lime juice). Add salt to taste. 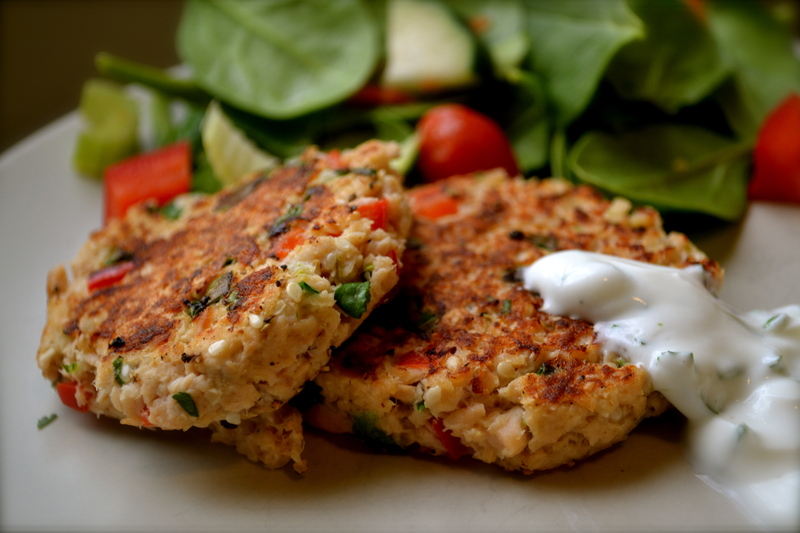 Serve cilantro-lime sauce on the side of the salmon patties, about 2 tablespoons per person.